This post is to explain a few questions I’ve received about Kiss of The Fey. In it, Xenos is cursed by a fairy, and together Johara and Xenos must work together to break it. Some people have correctly pointed out similarities between Sleeping Beauty, Beauty and the Beast, and Kiss of The Fey, but others have also pointed out Frozen (the movie) and other ice-related fairytales. This is not intentional. When I first started writing Kiss of The Fey, it was a novella named “Princess Janoah’s Tale”. The writing prompt was to write a story inspired by a fairy tale, and the inspiration was Beauty and The Beast and Rapunzel. Yes, Rapunzel. Originally, Xenos had literally climbed into Janoah’s bedroom window. He had also been only 20 in that version, and Janoah was only 16. They were very silly back then. Going forth from that, I cut out the Rapunzel part and stabbed Johara, inserting the Sleeping Beauty aspect. However, I didn’t want it to be so gentle, which is why her curse is so evil. When I thought of Xenos’s part in it, and how I could relate him to Beauty and The Beast, I realized that I had to do something more. He was cursed, but when he turned 31 he couldn’t just stay ugly. I didn’t want a literal interpretation of the fairytale. That’s what made me decide to have ice flow through his veins. This made it an actual curse. Instead of being ugly for his entire life, he was frozen. Because of his curse he did get some pretty nasty scars, but his physical appearance was never really a focus. So as you can see, there was no Frozen/other fairytales behind the imagining of Xenos’s curse. I picked cold because not only did it go with living in the freezing north, but it drew a nice parallel to the original Beauty and The Beast curse. Also, it played on the fact that Xenos was supposed to be figuratively cold-hearted. 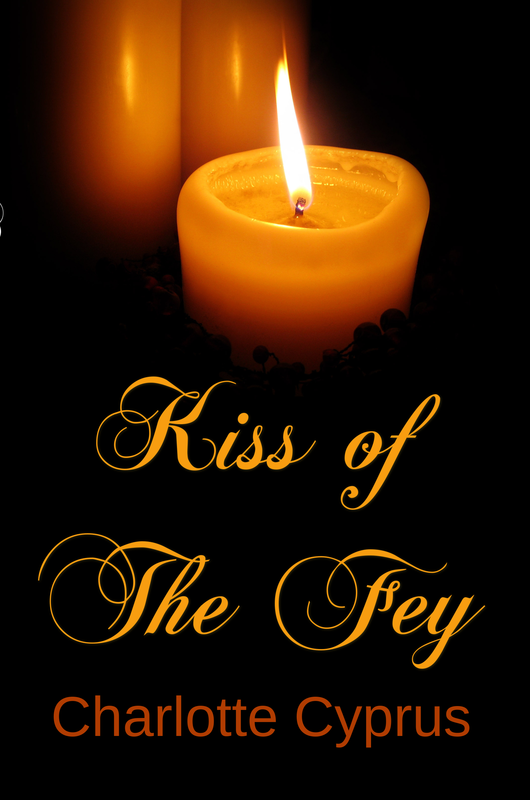 I’m super excited to be getting closer to the release of Kiss of The Fey! I’m reading over the book for some last minute tweaks just to dot my i’s and cross my t’s. I’m really happy with how the book turned out. It’s been a long process, almost four years from the first form of the story until now, but I’m glad I stuck with it. It was worth it. I’m also working on my second book, and I’m about halfway done with the first draft. I want to get it written as soon as possible. After getting Kiss of The Fey ready for publishing, I realized how much I enjoy all the work! I’m glad I’m publishing right as school starts. All the homework should distract me from the big gaping hole that the editing and formatting previously filled. I hope you’re all having a great summer!